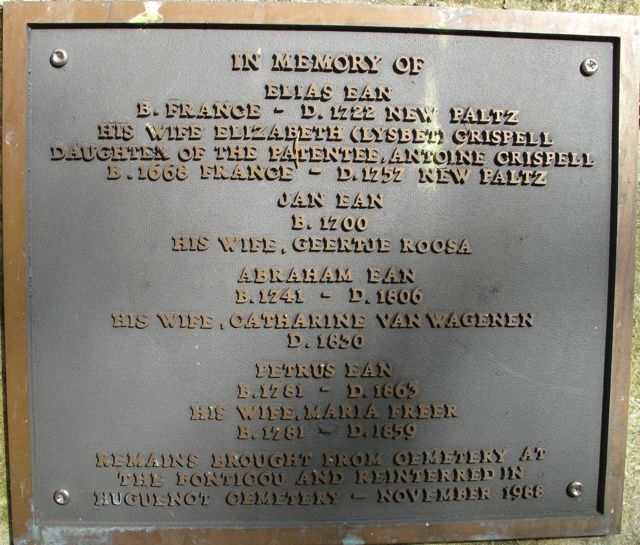 Headstone of Louis and Catherine Blanshan DuBois in the Huguenot or Walloon Cemetery in New Paltz. 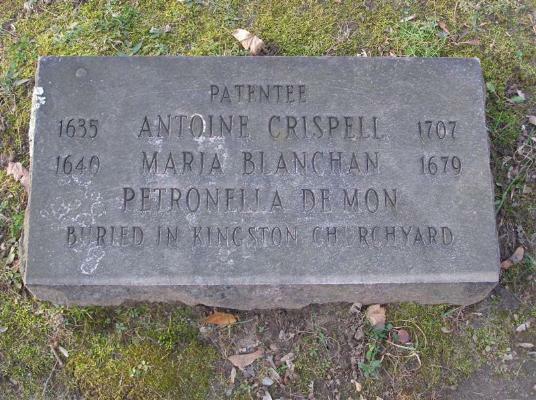 They are buried in the Kingston churchyard, not here. The dates do not correspond with historical records. married Antoine Crispell, a farmer born in Sanghin-en-Weppes in 1635, in Mannheim on January 31, 1660.
around 1689. 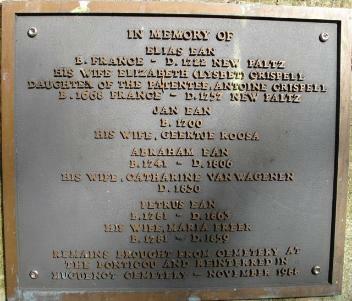 Neeltje was born in Hurley and died after 1727. Pieter died in 1696. Paltz in November of 1988. Hillegond Willemse Van Buren, born in Hurley but baptized in Kingston on January 17, 1683. York. 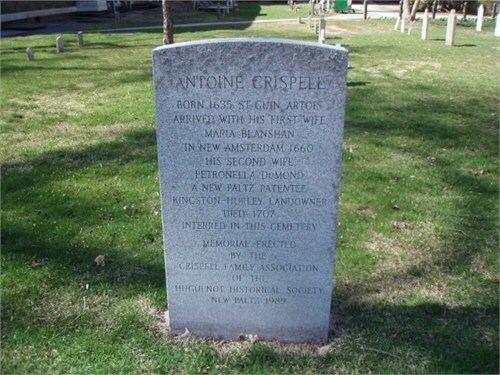 They are buried in a Kingston church yard, however. Photo courtesy of Fred Saar. 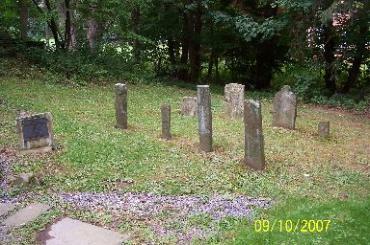 Walloon (Huguenot) Cemetery in New Paltz.